We have known that the proposed rules for stage 2 meaningful use under the EHR Incentive Program were on their way. I had hoped that they would be released on Febraury 17, 2012, which was the third anniversary of the passage of the HITECH Act. Sadly, we did not get to read them prior to HIMSS. Nor did we get to read them prior to many of the learning sessions on stage 2 meaningful use scheduled at HIMSS the first two days. But, finally they are here (and sadly not even in time for Farzad Mostashari's keynote address as some had predicted). This will certainly be a major topic of conversation after the HIMSS conference (along with clouds, mobile and collaboration). There are two rules pertaining to stage 2 meaningful use: Medicare and Medicaid Electronic Health Record Incentive Program--Stage 2; and the New and Revised Standards, Implementation Specifications, and Certification Criteria for Electronic Health Record Technology which is not yet published. I will be posting some deeper analysis coming weeks on each of the rules once I have had some time to actually read them in more detail and the S&C rule is published. First, let's look at the NPRM for Stage 2 meaningful use. The final rule for the Medicare and Medicaid EHR Incentive Programs, which was published in the Federal Register on July 28, 2010, specifies that CMS will expand on the criteria for meaningful use established for Stage 1 to advance the use of certified EHR technology by eligible professionals (EPs), eligible hospitals and critical access hospitals (CAHs). This proposed rule would establish the requirements for Stage 2. As stated in the July 28 final rule, "Our goals for the Stage 2 meaningful use criteria, consistent with other provisions of Medicare and Medicaid law, expand upon the Stage 1 criteria to encourage the use of health IT for continuous quality improvement at the point of care and the exchange of information in the most structured format possible, such as the electronic transmission of orders entered using computerized provider order entry (CPOE) and the electronic transmission of diagnostic test results." 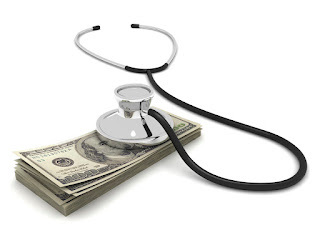 One of the significant changes is in the timing for implementation of stage 2 meaningful use. This change was expected and will become official under the final rule expected this summer. Under the current requirements, eligible doctors and hospitals that began participating in the Medicare EHR Incentive Programs in 2011 would have had to meet new standards for the program in 2013. If they did not participate in the program until 2012, they could wait to meet these new standards until 2014 and still be eligible for the same incentive payment. To encourage faster adoption the rule allows doctors and hospitals to adopt health IT in 2011, without meeting the new standards until 2014. The proposed rule would move all menu set items to core measures, and many of the percentages are increased, and some new menu objectives added. The requirement that a summary of care record must be transmitted between providers at transitions in care is ramped up and using paper is no longer an option. Secure messaging is a requirement, and there is a standards and certification requirement that Direct Project protocols are enabled in the EHR. The health information exchange requirement goes from merely performing one test to the ability to connect to at least three external providers in the primary referral network (but outside delivery system that uses the same EHR) or establish an ongoing bidirectional connection to at least one health information exchange organization. Sharing health data among providers is necessary to be accountable for care and the health of a patient population. The requirements for quality reporting in meaningful use are increasing at the same time that new reimbursement models are tied to performance. Quality reporting will eventually need to be in real time so that gaps in care can be avoided, rather than simply reported. In order to successfully meet the requirements for meaningful use, hospitals and EPs must meet Stage 2 objectives and measures using “Certified EHR Technology.” Certified EHR Technology is defined as an EHR (either a Complete EHR or combination of EHR Modules) that has been certified against all applicable certification criteria adopted by ONC for a given payment year. With the delay of Stage 2 Meaningful Use implementation, this allows additional time for EHR vendors to design, develop and release new functionality, which was also cited as one of the reasons behind the recommended delay. Below is the NPRM on Standards, Implementation Specifications, and Certification Criteria for stage 2 meaningful use. The final rule that established the initial set of standards, implementation specifications, and certification criteria was published in the Federal Register on July 28, 2010. The initial set represented the first round of an incremental approach to adopting future sets of standards, implementation specifications, and certification criteria to enhance electronic health record (EHR) interoperability, functionality, and utility. Under the authority provided by section 3004 of the Public Health Service Act (PHSA), this notice of proposed rulemaking would propose that the Secretary adopt revisions to the initial set as well as new standards, implementation specifications and certification criteria. The proposed new and revised standards, implementation specifications, and certification criteria would establish the technical capabilities that certified EHR technology would need to include to support meaningful use under the CMS Medicare and Medicaid EHR Incentive Programs. The ONC has created a new certification called Certified EHR Technology that will replace current certification. This will begin at the implementation of Stage 2 Meaningful Use in 2014 (they are creatively calling this the 2014 edition). There will be two types of certification: a Base EHR and a Core EHR. Some of the baseline capabilities of a Base EHR are history and problem list, clinical decision support, CPOE, capture quality data and data query. privacy and security, and health information exchange. (iii) Track the number of patient online accesses (view and download) or transmission events. Electronic access via online access is intended to include an online portal and/or PHR directly tied to the EHR or a third party patient portal and or PHR that is connected to the EHR. The third party solution (PHR and/or patient portal) may be directly connected to that EHR or through an HIE connection that offers electronic patient access. Similarly, the intention here is that the EHR needs to demonstrate one of these options for certification (not all of them). There is also the criteria that secure messaging is enabled that would allow a user to electronically send a secure message to a patient; and also receive a secure message from a patient. As mentioned previously Direct Project protocols must be enabled, which shows a continued emphasis on promoting these standards. Meaningful use of EMR is not only must for availing the benefits under the stimulus package but truly speaking it is the ultimate goal behind implementation of EMR.